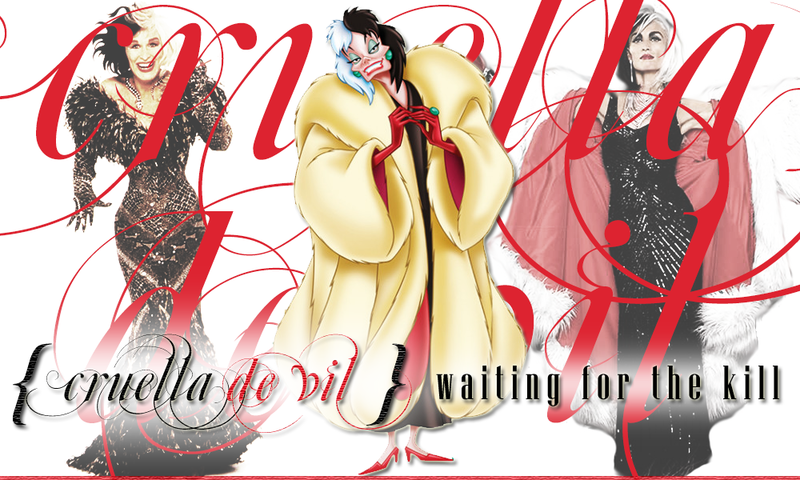 Welcome to Waiting for the Kill, the fanlisting for Cruella de Vil, a character from the animated film and live action films 101 Dalmations, and the television series Once Upon A Time, portrayed by Betty Lou Gerson, Glenn Close, and Victoria Smurfit, approved by thefanlistings. This listing was last updated on 23rd February 2019 with 5 total members, and 0 pending. Welcome to the newest member : Kristina!